Rowing for recreation is the ideal way to refresh your body, mind and spirit. Experience the peace and power, tranquillity and beauty of this sporty activity. Enjoy the freedom of the water, wherever, whenever and as often as you like – in a very healthy way. The innovative boats of Volans Rowing offer the opportunity to combine outdoor fun and exercise in a natural environment. The sliding rigger in combination with the sophisticated hull shape enables speed, in spite of the relatively short length of the boat, giving the Volans2 the feeling of a slender competition skiff. 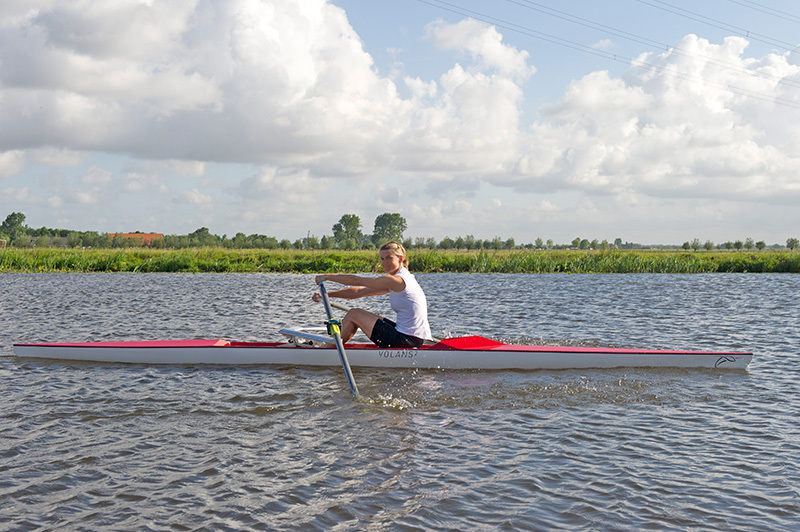 The boat is fast, light and compact making it suitable for both the recreational rower as well as the elite athlete who enjoys training in the open air; for beginner and advanced, for young and old, for students and veterans. The mission of the international rowing federation FISA is to make rowing a universally practised and globally relevant sport and to spread the sport. Therefore the Rowing for All Commission promotes and facilitates the international development of rowing in all its forms. To support such activities and in consultation with FISA the skiff Volans4all is being developed. This boat for beginners will be accessible and affordable to large groups of users, especially in developing countries. For this project Volans has received a grant from the Dutch programme Sportinnovator as one of the ten best sports innovation ideas. The first prototype is presented at the World Rowing Championships 2016 in Rotterdam, The Netherlands.